It's a distance of 350 kilometres via the Trans Canada and city of Gander. 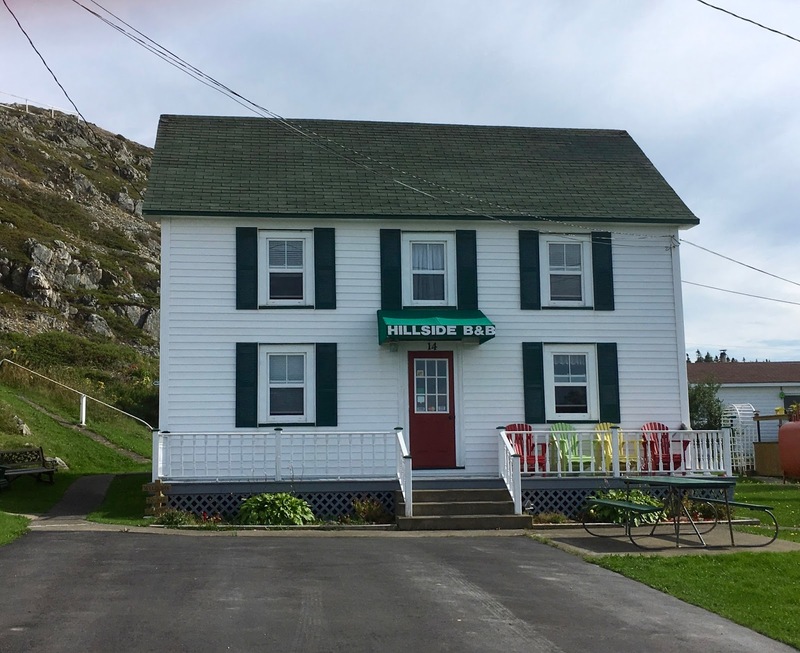 We spent three comfortable nights at the Hillside Bed and Breakfast. 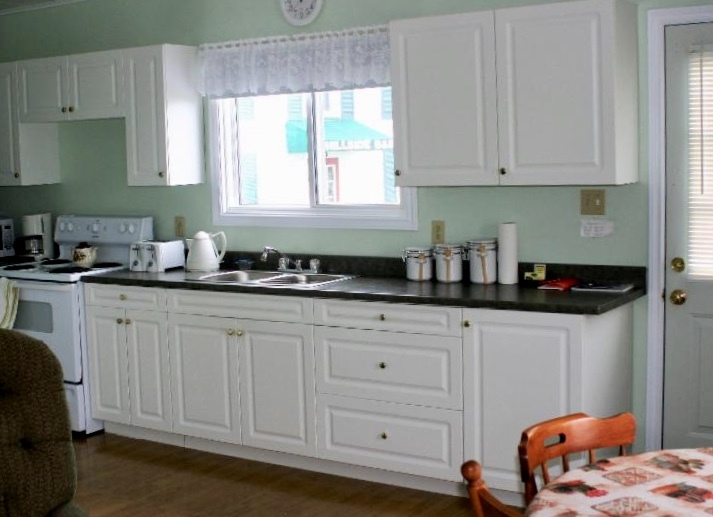 But rather than stay in the main house, we opted for the separate 'cottage' located to the left of the main building. 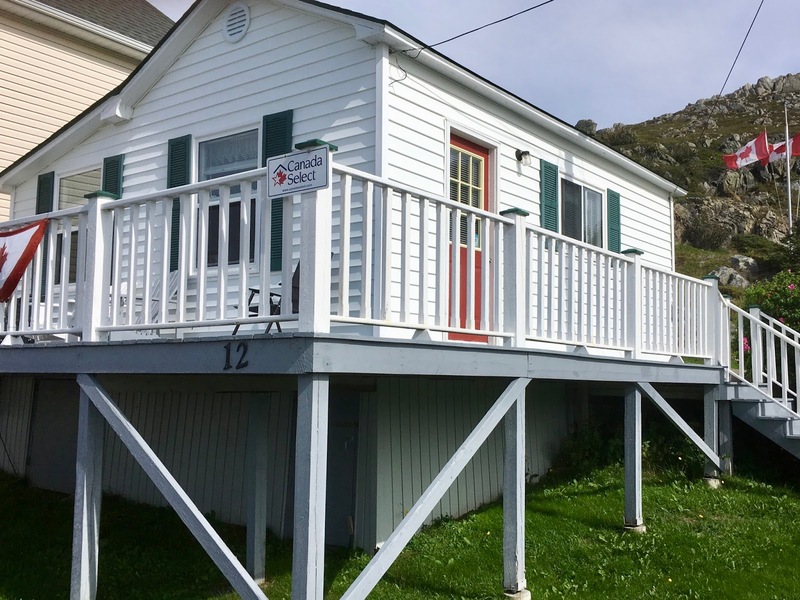 This one-bedroom unit had everything we could need or want, including a well-equipped kitchen that overlooked the deck and bay. 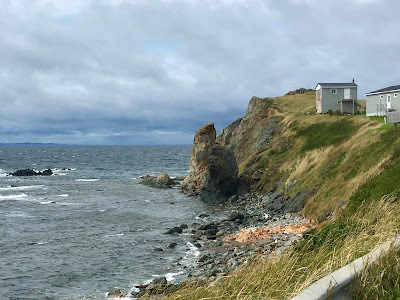 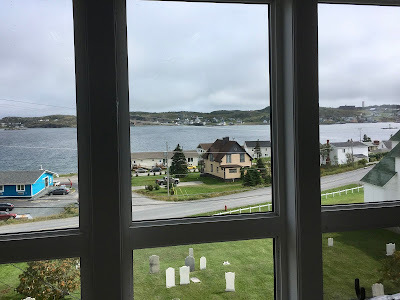 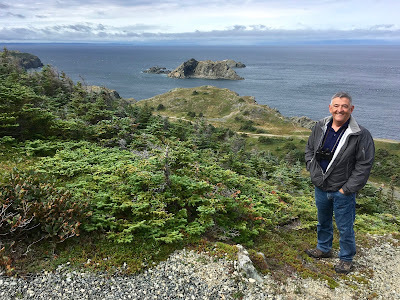 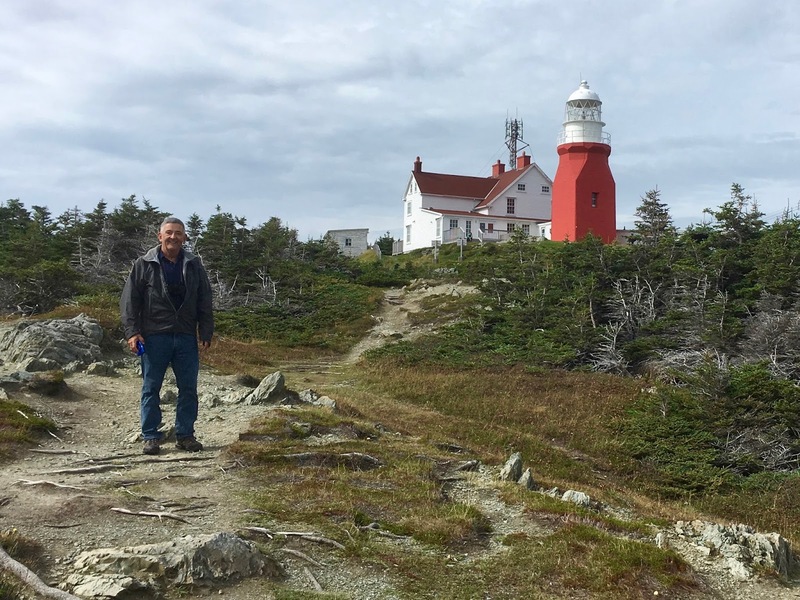 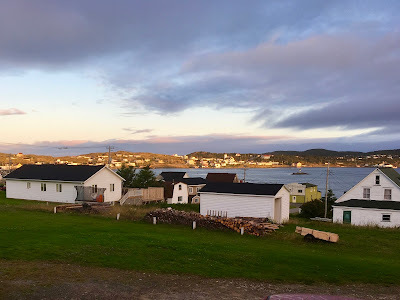 Plus, Winston and his wife, Wavey, were gracious hosts who provided lots of insider information on things to see and do during our stay in Twillingate. 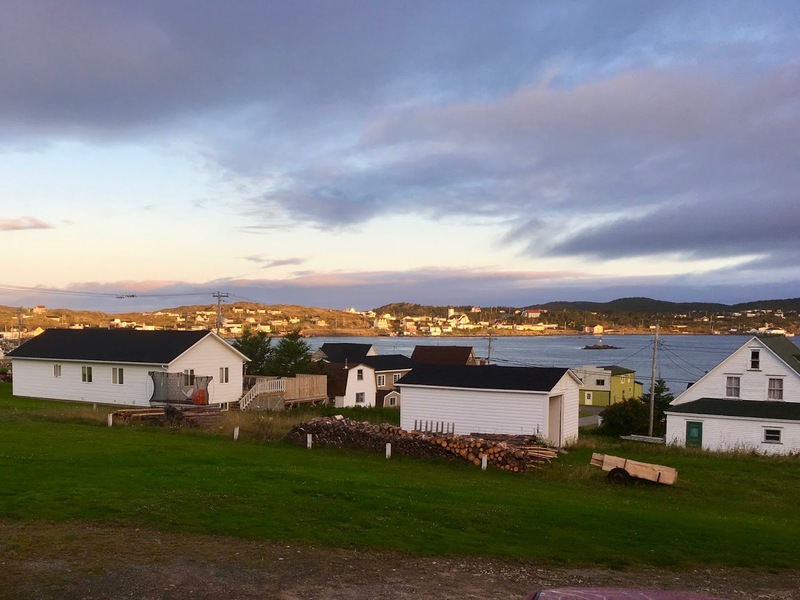 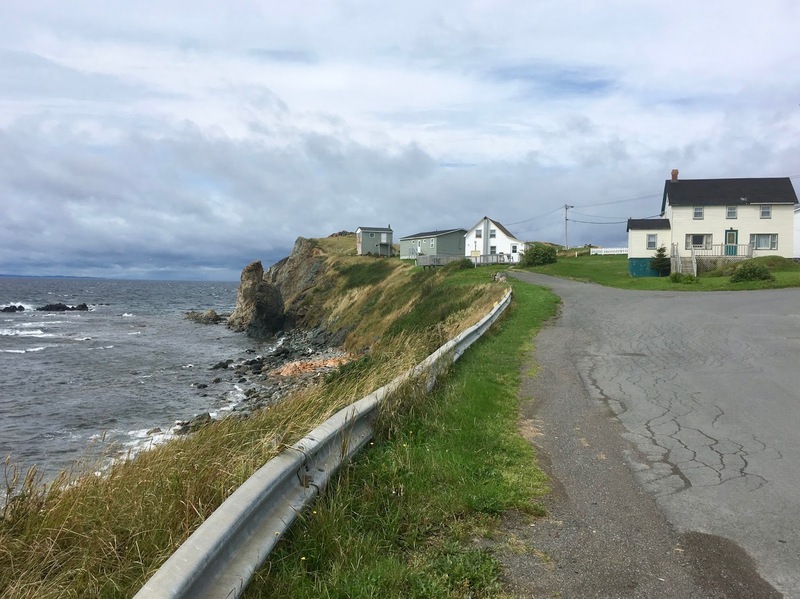 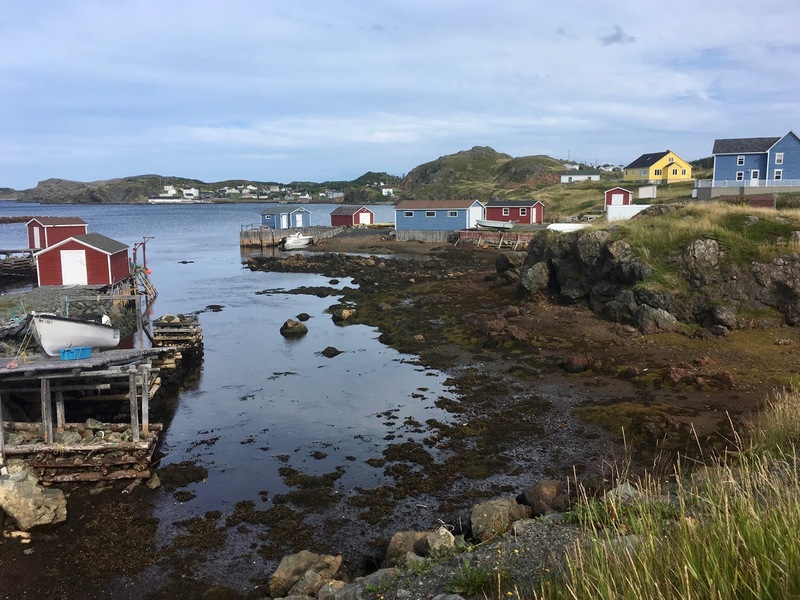 The town of about 2600 residents now relies on tourism rather than fishing for its livelihood and hosts thousands of visitors who arrive each summer. 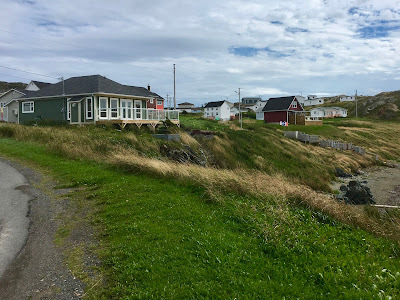 One glance around the community and it's easy to understand the appeal. It's picture perfect. 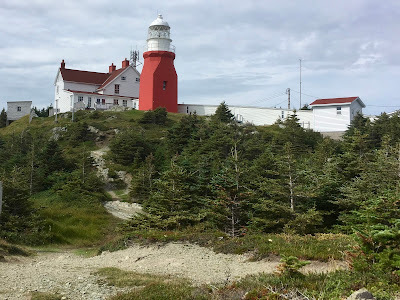 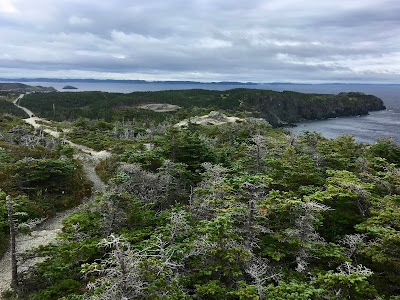 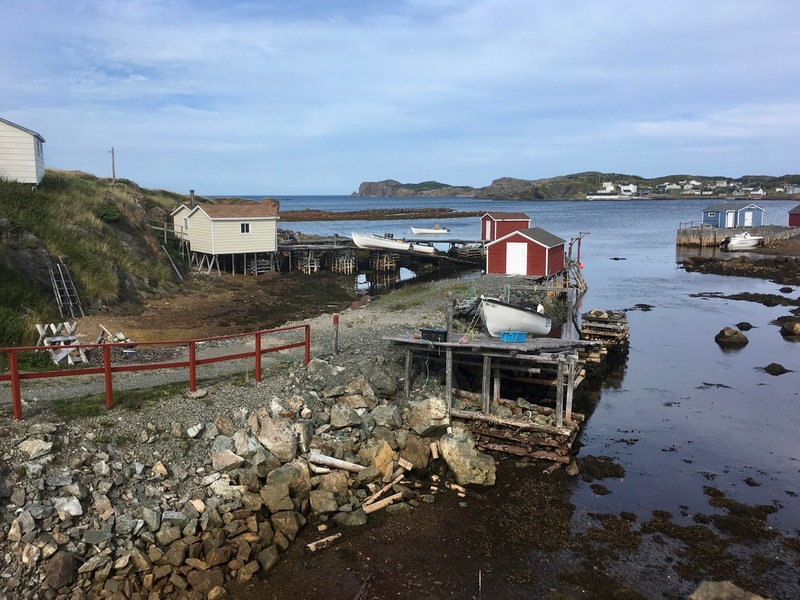 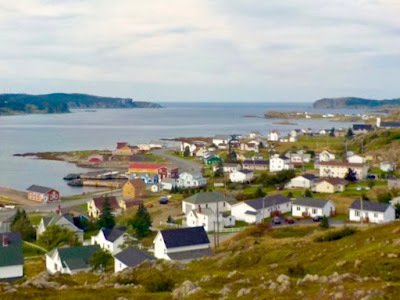 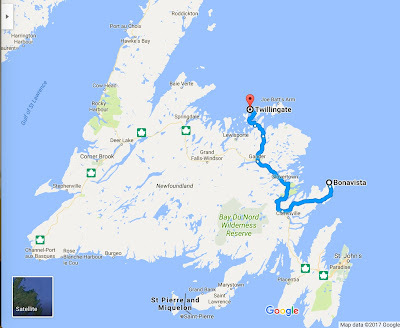 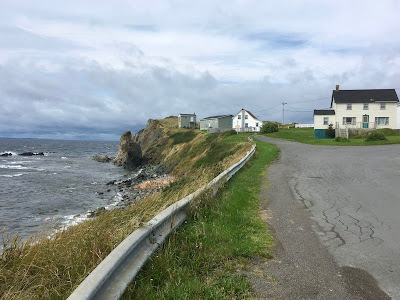 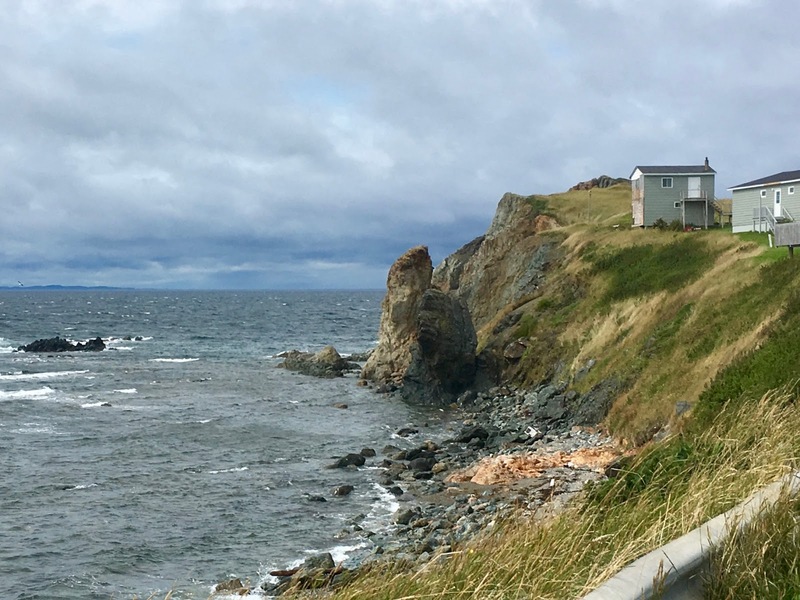 A short drive from town is Crow Head which is at the top of North Twillingate Island. The area is also home to the Long Point Lighthouse. 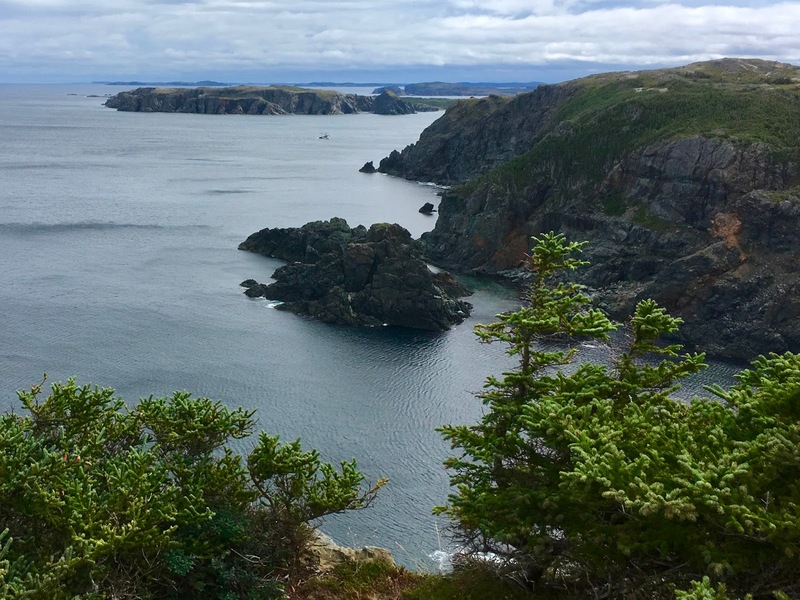 Built in 1876 it sits 331 feet above sea level and offers spectacular views of the rugged coastline. An added bonus is the hiking trails located to the west of the lighthouse. 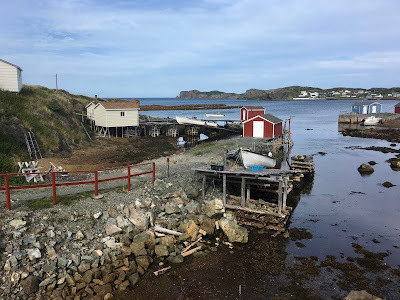 Back in Twillingate proper we headed to the Wooden Boat Museum which just opened this past July. That fact surprised us because its excellent exhibits and knowledgeable staff gave the impression they'd been up and running for years. 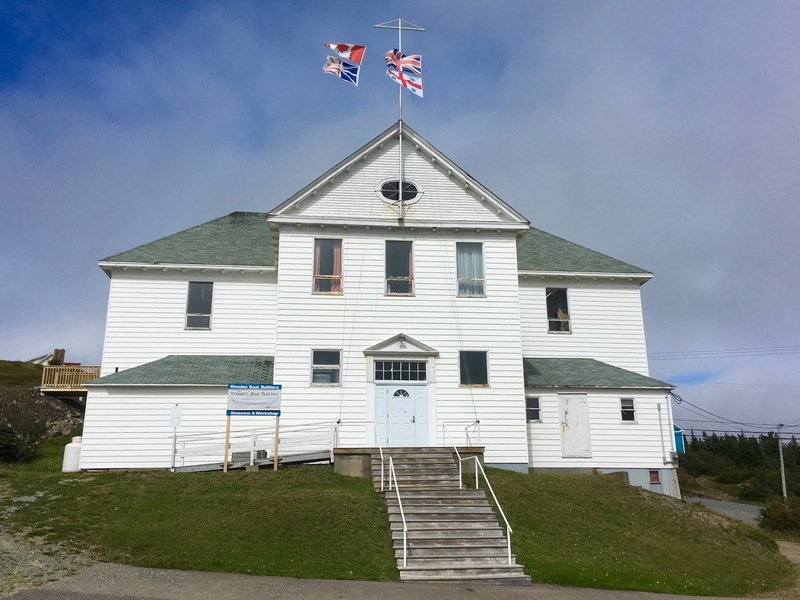 The museum is housed in St. Peter's Parish Hall which once served the community as a school. 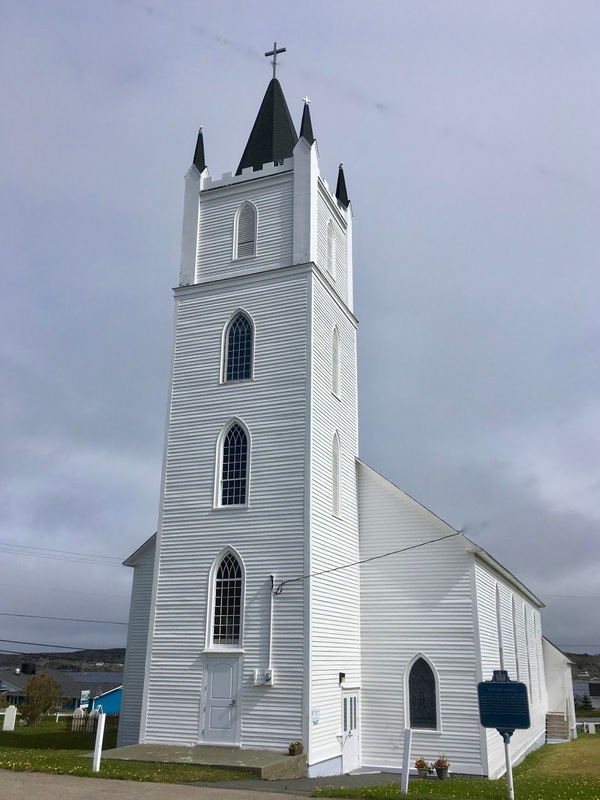 St. Peter's Church, located right next door, is one of the oldest wooden churches in Newfoundland. 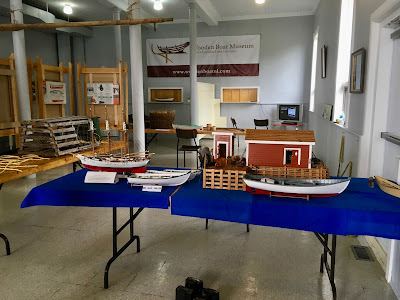 The exhibits on the spacious top floor show step-by-step how one begins and proceeds to build a wooden fishing boat. 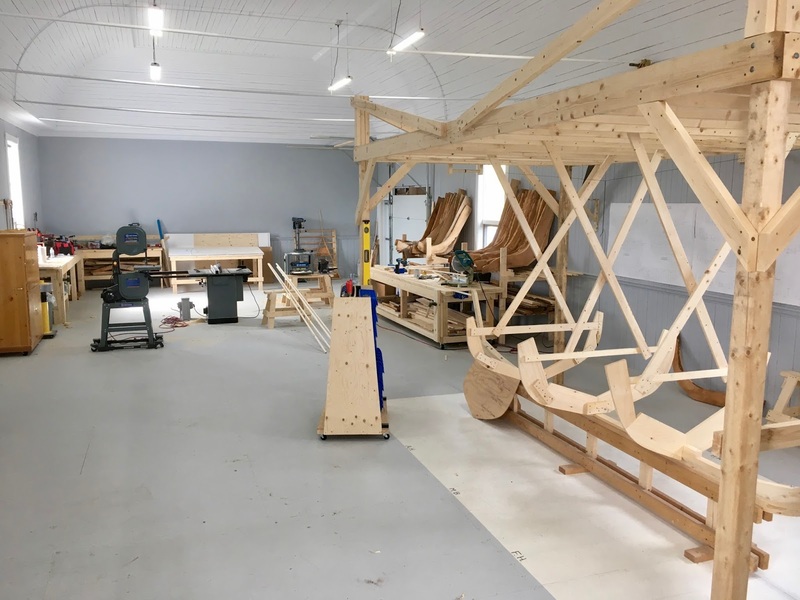 Our guide explained how fishermen seek out trees that conform to the natural curve of the boat frame and continue with an instinctive sense on what width and length works best in the turbulent Newfoundland waters. 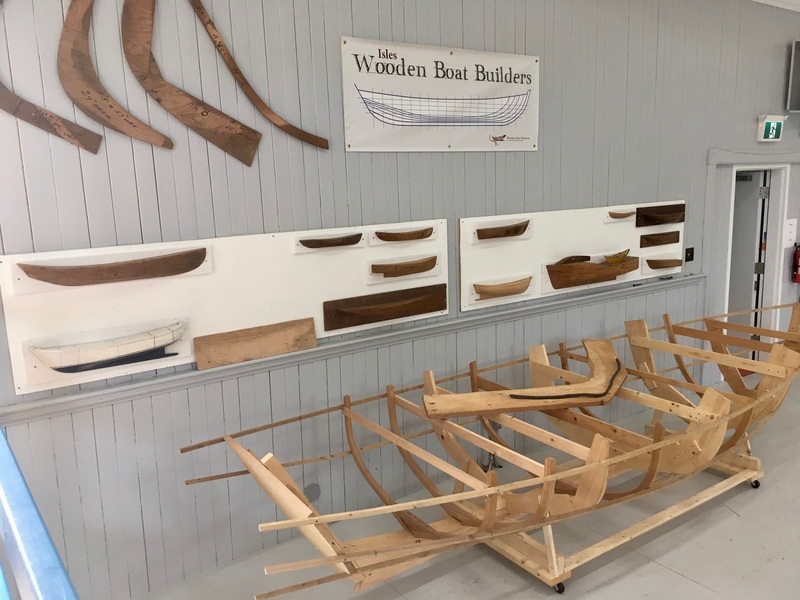 Sadly, this craft risks being lost forever as the majority of today's fishermen prefer fibreglass boats to wooden. 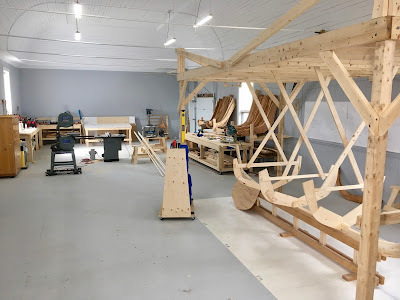 Mix in a healthy portion of disinterest and that only a handful of master boatbuilders are still alive and time is all but running out. 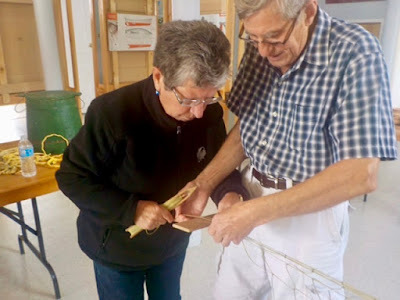 Thankfully, there are a few remaining master builders, the majority in their eighties, who are more than willing to share their knowledge and expertise and the staff of the Wooden Boat Museum are determined to do all they can to preserve this information for future generations. As our guide - an apprentice wooden boat builder himself - explained, his inspiration comes from these master builders and besides, he has the best workshop in the world. 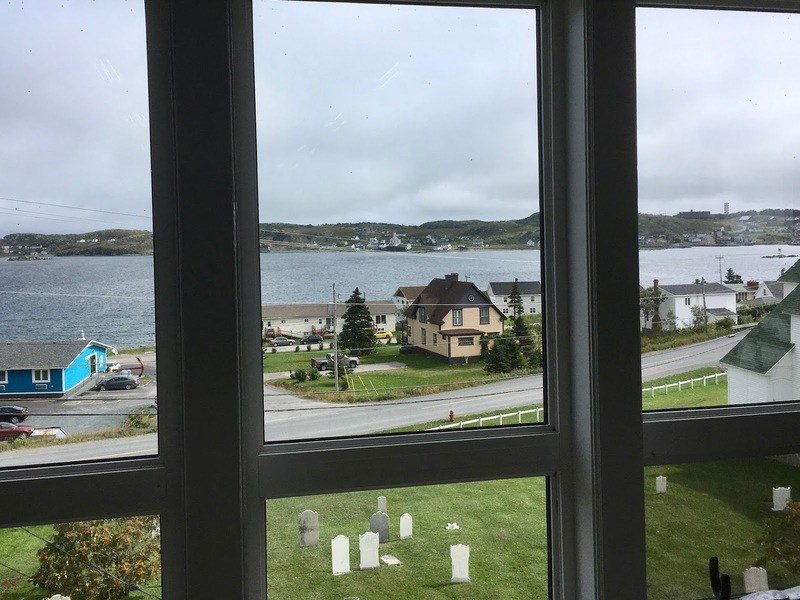 Just look at that view! We also stopped in at the Auk Island Winery. 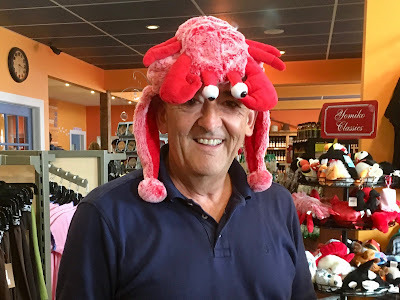 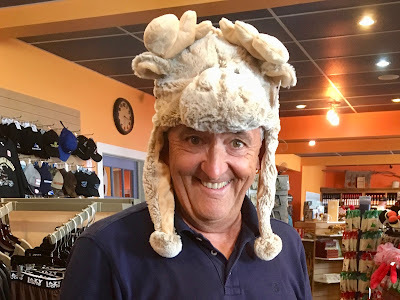 As we arrived late in the day there wasn't time to take a tour, but we did have some fun in the gift shop. 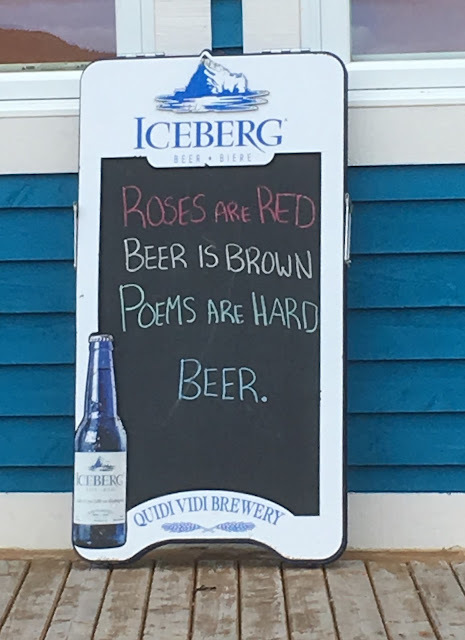 We also enjoyed a sample of Newfoundland literature!